So, tomorrow is the election. No matter how things turn out one thing is absolutely certain: About half of the people wandering around your part of the world, that you run into at the supermarket or that you are stuck in traffic with will be disappointed. They may also be angry, disgusted, incredulous, irritated, despondent, livid or resigned but they will be above all disappointed. Or, it might be you I’m talking about. The other possible emotions are a bit more difficult to predict but disappointment is not. It was completely predictable all along. Ask yourself why that is. What is it about the emotion of disappointment that makes it something we can expect and prepare for? To answer that question, we need to know what disappointment is. Where does it come from? What provokes it? And finally how can we deal with it, work with it, navigate it? Since the late 15th century to disappoint has meant exactly what it sounds like – “failure to keep an appointment”. Previously it meant “to take away an office, position or appointment” in a governmental context. Both make a lot of sense given what has just happened. Human beings have an incredible ability to think about the future. In fact, for most people it is difficult not to. We think about what we will have for lunch, or the drive home or the weather on the weekend. We are constantly imagining about how things could be. It is a kind of planning but at the level of possibility. A funny thing happens though when we begin to believe that the possibilities we’ve imagined are real. When we move from thinking how the future “might” be to how the future “will be” or even “is likely to be”. That shift moves us into expectation. We begin to believe that our vision of the future is how the future will be when we get there. And sometimes, often unconsciously, we get attached to the future being the way we imagined it. Then we have an imagined story evolving into an expectation of what reality “should” be. Disappointment as an emotion is triggered the moment we begin to realize that “our imagined future” and “the world” are not in alignment. We imagined a sunny weekend and it is raining. We imagined a significant raise and got less or nothing. We imagined being in a relationship with someone we are attracted to and find out they are not interested. We each live a hundred examples each day. Some are small and some are big but they all occur for the same reason. Our expectation and reality don’t line up. It is possible to accept this misalignment with equanimity or even amusement but many people react with the emotions outlined at the beginning of the blog because they believe the misalignment triggered a story means that “something is wrong”. And we generally blame reality for being wrong rather than our invented story. So, I thought x would happen, it didn’t happen, I realized it, I feel disappointment and I blame the other person or the world for being “wrong”. So, now what? Sometimes it doesn’t seem like it but we have lots of choices. And they all depend on what emotions or moods we have access to. If we can shift to acceptance our story will become “it is as it is” and we will be at peace. In ambition we will see new possibilities and go get them. If it is curiosity we’ll investigate why we believed what we did or why so many people believed something different and look for answers. Resignation, the belief that nothing I do will make a difference so why try, will bring some rest. Even resentment, “that it isn’t fair” will get me unstuck. This election, just like every other part of life, shows us over and over why listening to and understanding our emotions is one of the best investments of time we can make. Otherwise we are lost in an emotional tar pit that will keep us trapped and unable to take the steps we need in order to move forward. Pick your emotions with purpose. 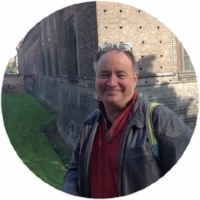 I’m Dan Newby, A Coach, Coach Trainer And Mentor, Teacher And Writer In The Area Of Ontological Coaching And Leadership. My Passion Is To Help Make These Distinctions “Common Sense” In The World In The Way Literacy Has Become A Given In So Many Places. As always, great insight into the human condition. Especially helpful was the point about the shift from "might happen" to expectation that it will. Seems we could be setting ourselves up for disappointment when expectation is not grounded. Thank you Dan.